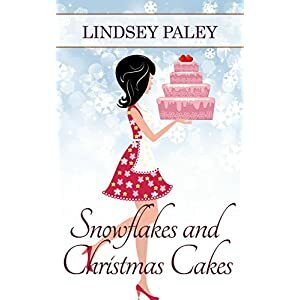 I love Lindsey Paley’s work. I love that each story is a little virtual visit for this American Anglophile to Great Britain. I enjoy her characters. This first submission in the Camille Carter series is no exception. She even made me miss winter with her summer release. Chef Millie is one raw dough woman, missing that essential ingredient that would create the perfect recipe of life. Trouble is, she keeps trying all the wrong additions and making messes. 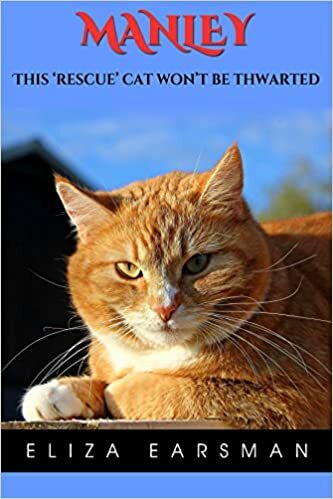 Fleeing from tragedy to heartbreak to heartbreak and to fling, readers follow madcap, clumsy, chip-on-her-shoulder, opinionated Millie as she stumbles unknowingly headlong into a scheme to catch a crook. Maybe she’ll even catch a break, but there’s no end of fun in store with Book One. Told in third person multiple viewpoints, this delightful contemporary British tale will delight readers who like stories with twists and turns and a little zest with their romantic scenes. The story is billed as a novella, but it’s not all that short. Fun read. I've been privileged to work with many authors on a vast array of projects, everything from short horror, flash fiction, quick little reads to epic historical novels. Eliza Earsman has an interesting history, besides a growing list of lovely tales to read. Manley, the rescue cat, is a charming tale at a sweetheart price. Manley was in a bad way. Dehydrated and exhausted from a long ‘stowaway’ journey, he was found in the back of a removal merchant’s haulage truck. One day and 400 tarmac miles earlier he had crawled in to examine what he thought was a load of peace and quiet. Falling asleep on a sofa wasn’t the best option but that is what happened—and he had no way of raising the alarm. The two hardy workmen fed, watered and soothed him. Short of leaving him on the mean city streets, they had no option but to take him to an inner city London animal shelter. Staff there found a microchip identifying his owner but the ‘owner’ didn’t want the cost of hauling him back to his south-of-England home county. A lovely story about the relationship between two adventurous souls, one human, one cat. Manley might have been rescued from the shelter, but he rescued Shelagh, his boon companion, every bit as much. Nice little reading nugget, cat romance, charming adventure, and yes, Manley's expression on the cover, a little smug, a little shy, and little sleepy, says it all. Delightful For those who like a quick short pet read.